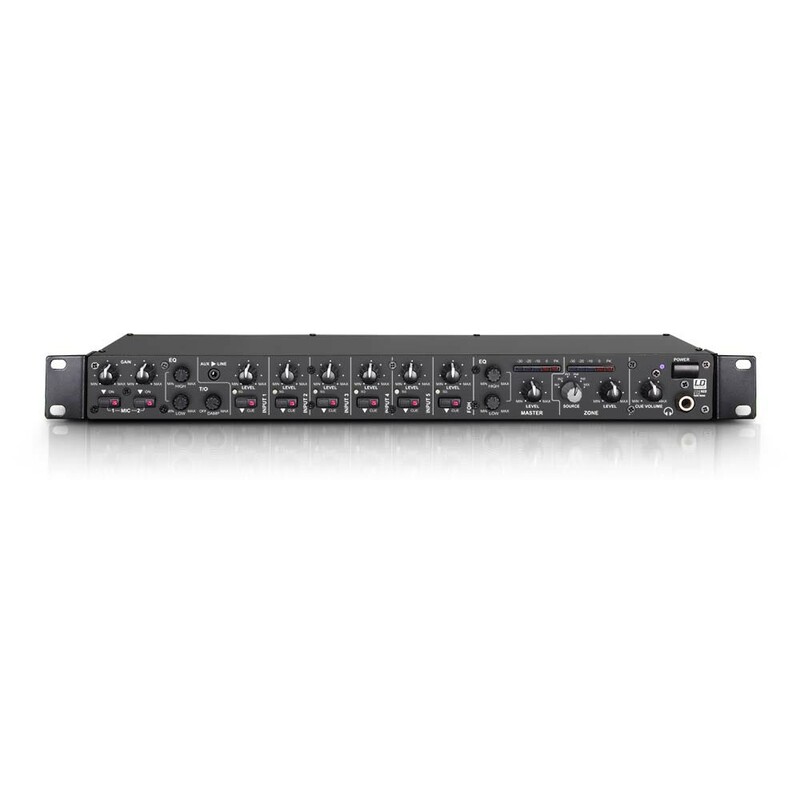 The ZONE 622 is a particularly compact 1U zone mixer with 6 line and 2 microphone channels, that can be assigned to a stereo or a mono master output. The device has all the essential functions, an input for an external emergency announcement system with its own volume control, and a connection to the remote-controlled switching mute. 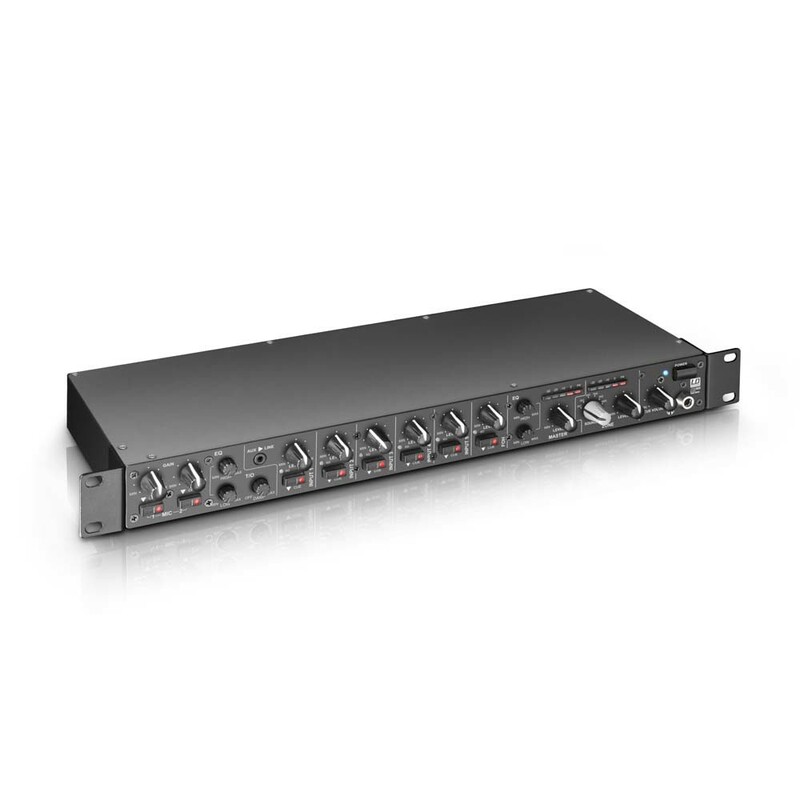 The ZONE 622 is suitable as a sound system for separate zones in restaurants, clubs, hotels, fitness centres, and for presentations. 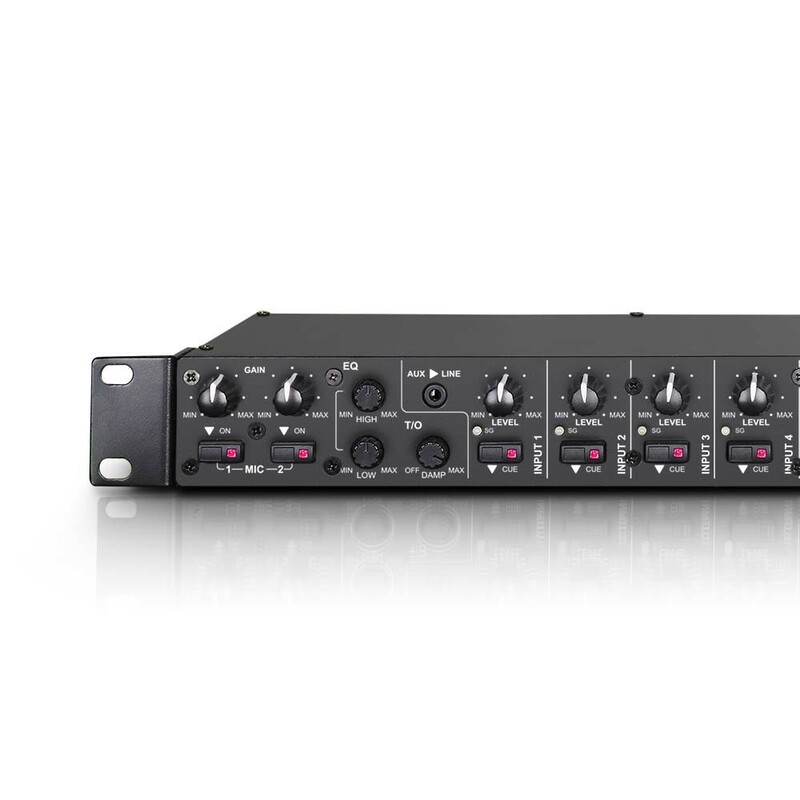 The two balanced microphone channels with stereo jack inputs are equipped with controls for Gain, Talkover volume, Talkover attenuation, 12V phantom power and a shared 2-band EQ. 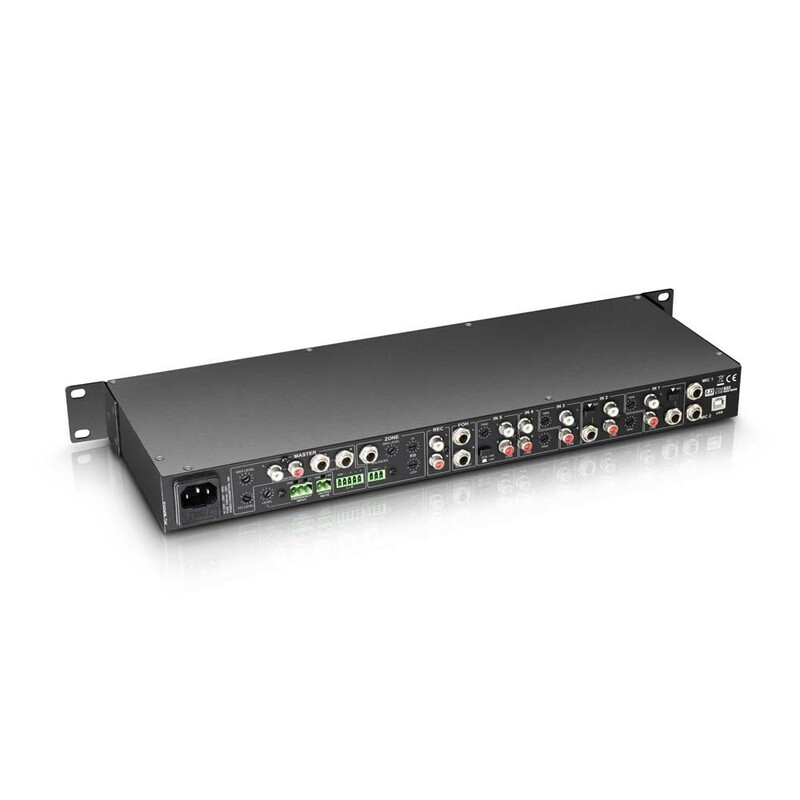 The line channels 1 and 2 can also be used to connect unbalanced microphones, and channel 6 is specially designed for balanced FOH signals. 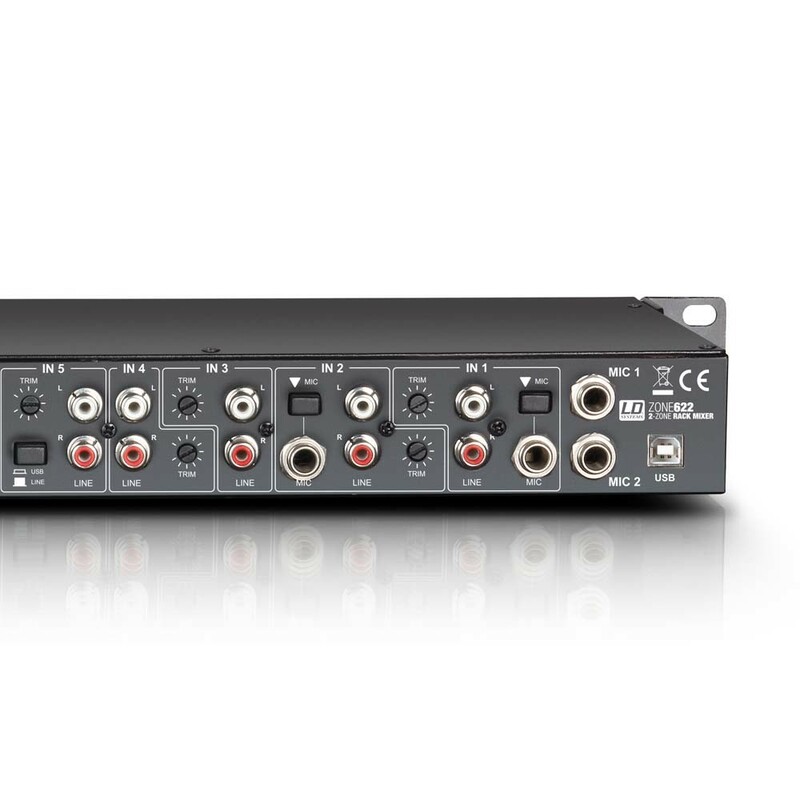 The stereo input channels of the ZONE 622 have a Cue button and volume control signal display, and the channels 1-5 have an additional gain trimmer. Furthermore, the zone mixer has a 3.5 mm mini jack input and a USB port , that is used as a Stereo Input and Output (Recording Out). 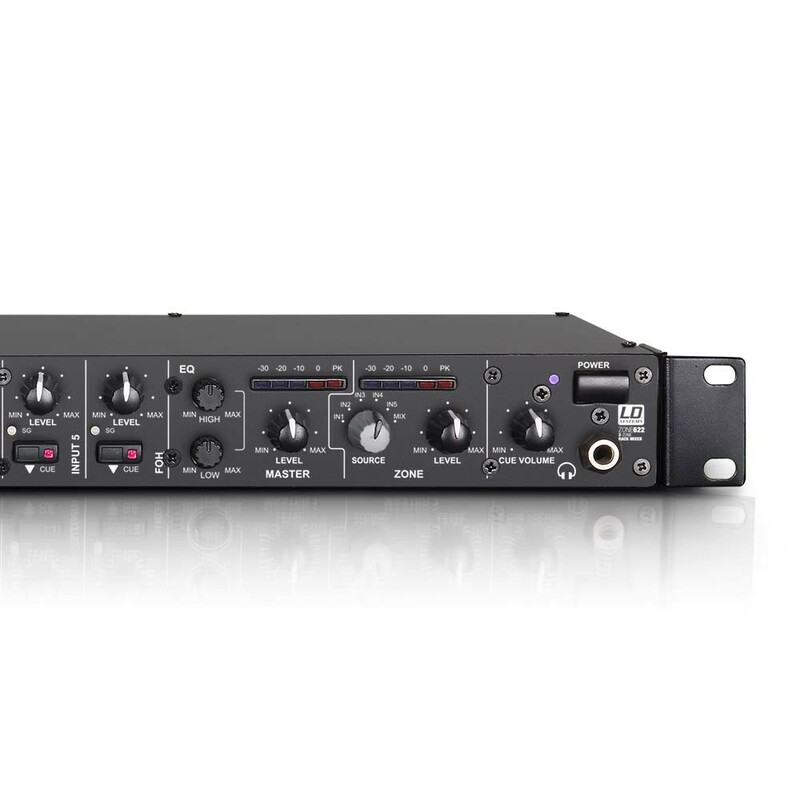 So you can use the ZONE 622 as an external audio interface. 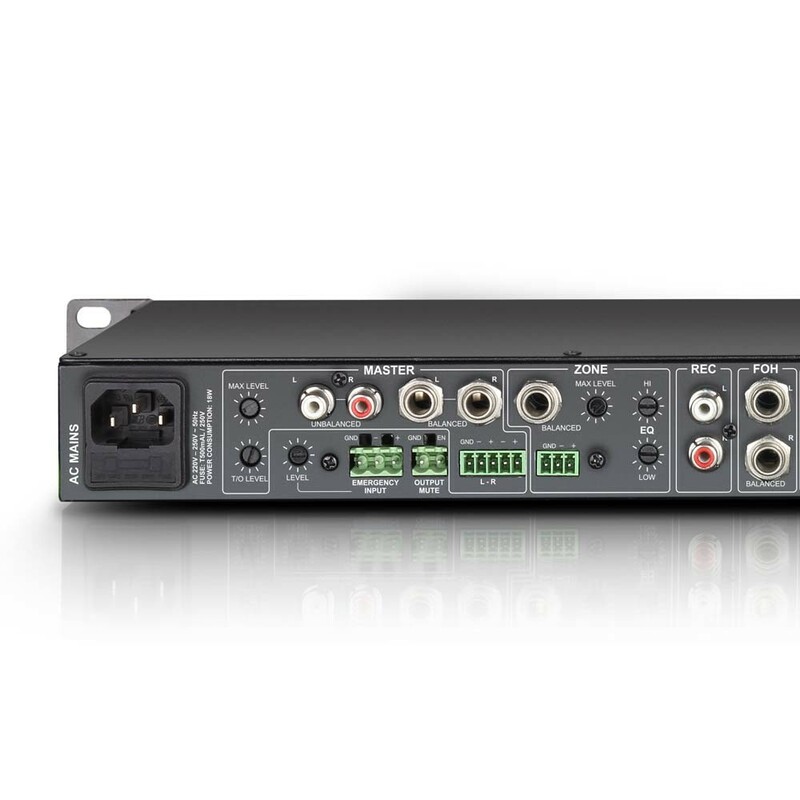 The stereo and mono output sections have their own meters, 2-band EQ, trimmer for adjusting the maximum output level, as well as electronically balanced jack plugs and terminal block connectors. In addition, the stereo section has unbalanced RCA jacks. 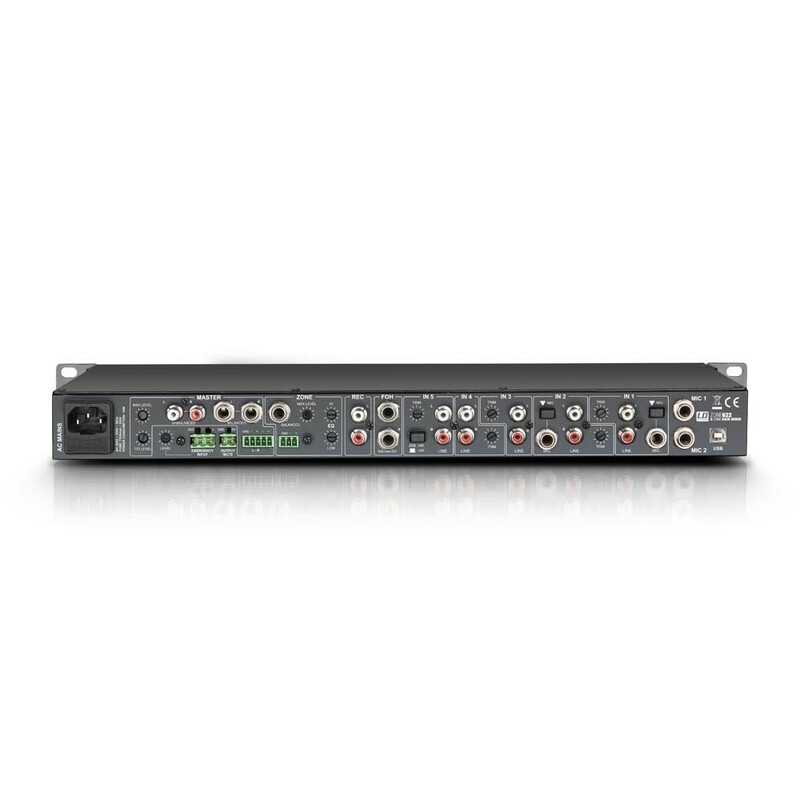 An adjustable headphone jack for previewing and a recording output complete the equipment for the ZONE 622.